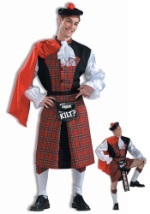 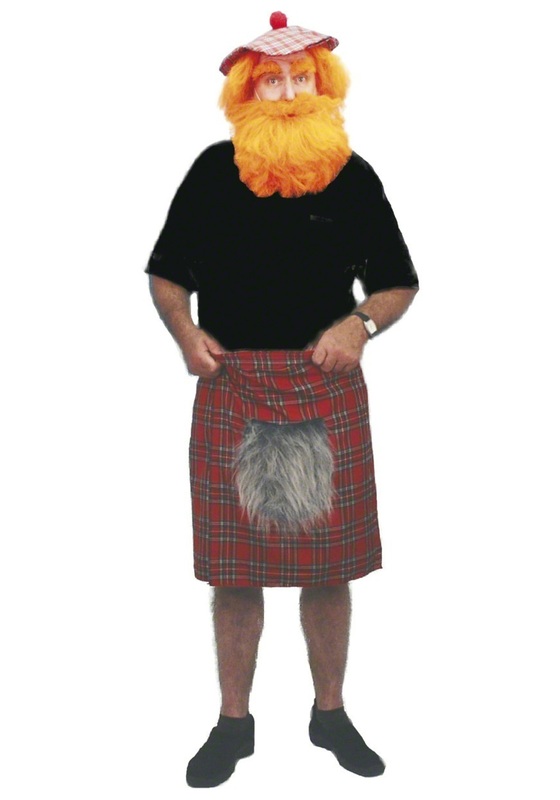 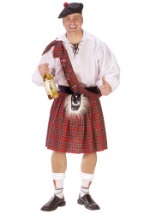 This Scottish Classic Kilt will transport you to the Scottish Highlands. 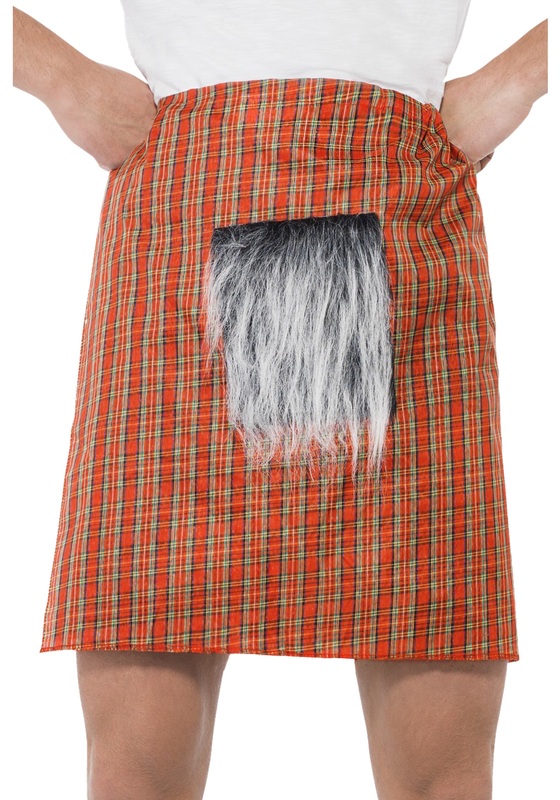 This tartan kilt is red with a plaid pattern and synthetic black and white fur pouch, known as a sporran, in the front of the kilt. 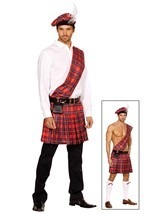 The waistband is elastic and fastens with Velcro™. Pass the haggis!